If you would like to enjoy a longer break, we kindly invite you to spend a night or more at vineyard Burger. Stress and rush are safely locked out of our five double rooms, as well as our three apartments. When staying with us, you shall only feel comfortable and relaxed while savouring our sincere hospitality and having a wonderful time. All of our five double rooms are devoted to a selected type of wine. Our comfortable non-smoking rooms are individually furnished in a rural and modern style. The rooms are air-conditioned and furthermore equipped with free wifi, sat-tv, shower and lavatory. After a restful and relaxing night you may look forward to enjoying a rich and vitalising breakfast. Eventful days are followed by calm and peaceful nights. This is the situation for us in Kalladorf. Up to four people might enjoy a harmonious and smooth sleep in our cozy and convenient apartament, while restoring energy for the upcoming day. 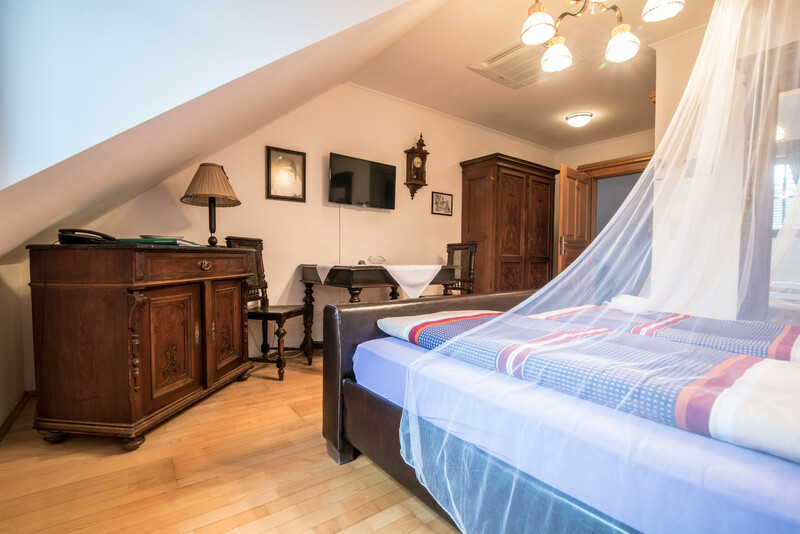 The vacation apartment is fully equipped with a kitchen (dishes included), a spacious fridge, a comfortable dining area, bath/shower, lavatory and sat-tv. Of course, free wifi can be used at our vineyard. no charge for children up to three years when staying in the parent`s room. Please do not take the pets with you into bed.